It was a perfect day for adventure and fun, under the sun. My friends and I had a blast laughing and screaming. 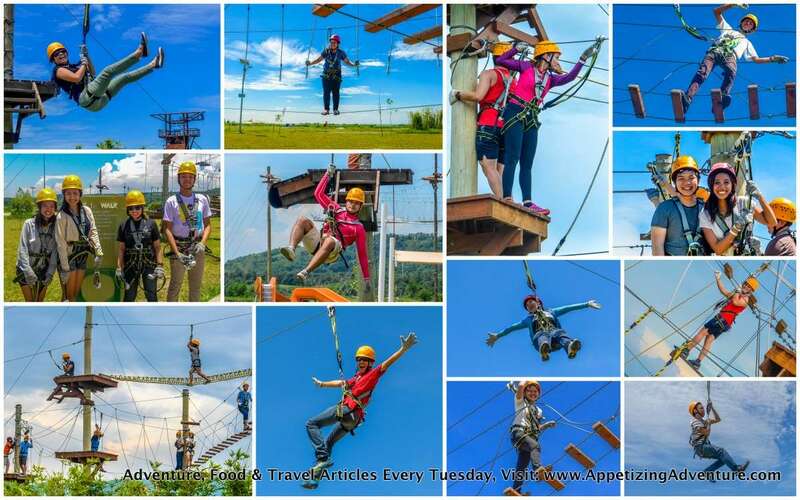 You too can take a day trip with friends and family, and push your limits for enjoyment with all the activities at the Sandbox. It’s just an hour and a half away from Quezon City. Our starting point was UP Diliman. We headed for NLEX through the Mindanao Avenue tollgate to avoid traffic in Balintawak. From NLEX we made the exit to go to SCTEX. We took the Porac Access Road and immediately saw the sign to Sandbox, Alviera. Sandbox is literally like a gigantic sandbox. There’s a lot of sand in the park. Sandbox is located inside the Alviera township development. 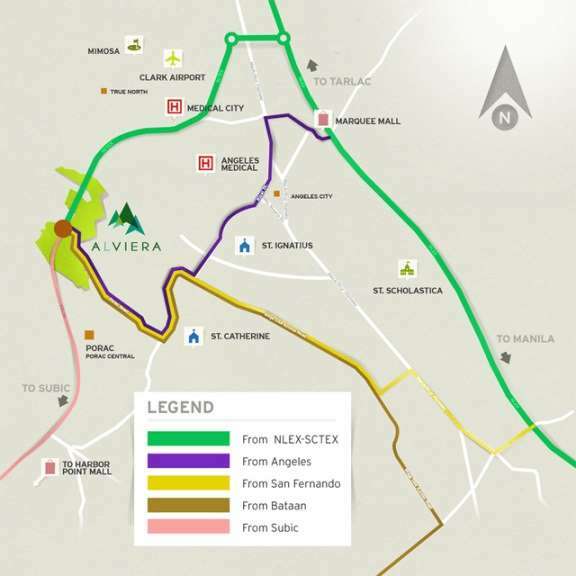 Alviera is a combination of the words “vie” (life) and “terra” (land) to signify that this is a place of progress that works well with the environment. The first two letters “A” and “L” stand for Ayala Land and Leonio Land. Giant Swing. Sandbox says it’s the highest swing in the country. I recommend you go here early and try to arrive by 9am. Begin with the easier activities first so you don’t exhaust yourselves early on. 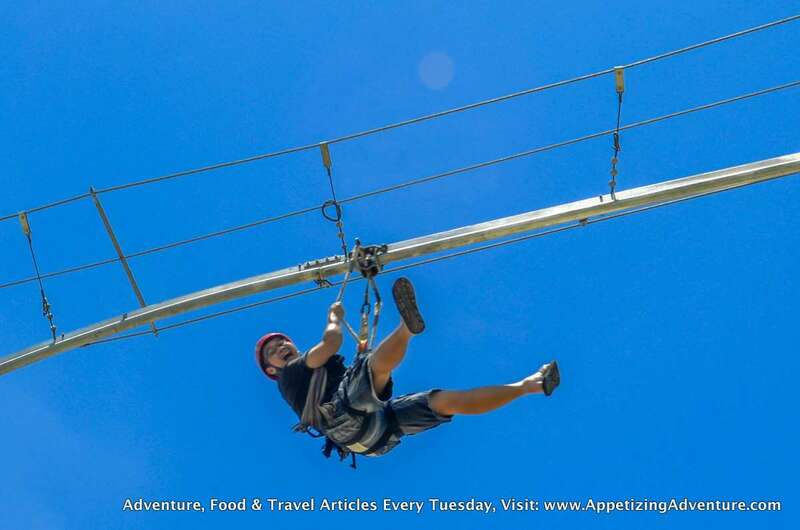 Start with the Giant Swing, Mini Golf, Free Fall, Roller Coaster Zipline, and ATV/UTV Rides. After that, have lunch and rest a bit. Then, stretch and warm-up for the more physically challenging activities and avoid the body pain you might experience the following day when you don’t stretch and warm-up. 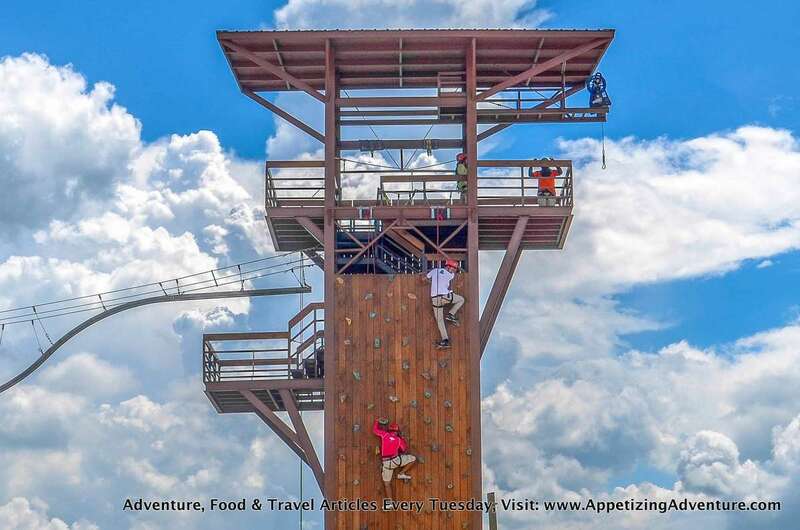 Go for the Wall Climbing, and then the Rappel Wall. 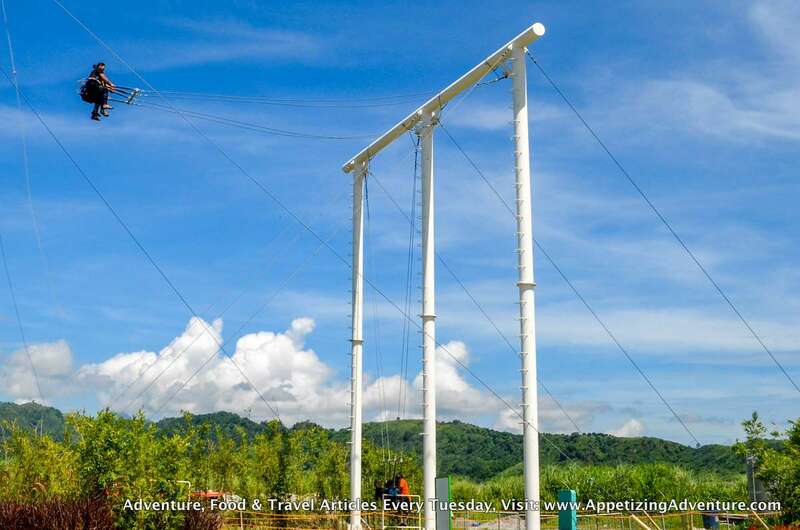 End with a blast with the most tiring and challenging activity that could take an hour to finish, the Aerial Walk. Stretch again and cool down. Remember to drink a lot of water and keep yourself hydrated. There’s a limit to the number of guests they can allow per activity. I think this is part of the management’s safety measure to make sure that all the facilities are well maintained. 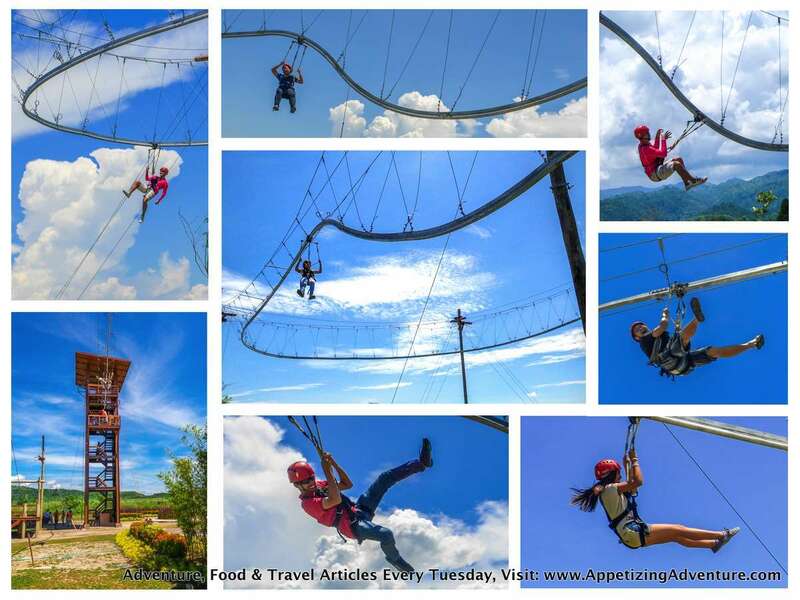 For the Aerial Walk, only the first 140 persons will be allowed to go through the activity. 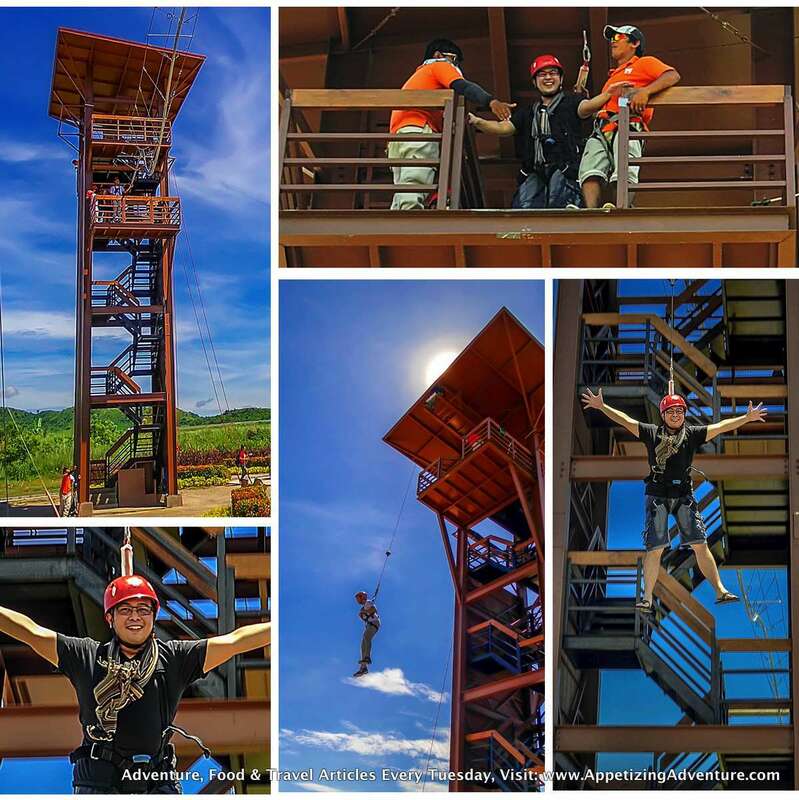 For the Free Fall, the first 270 guests; Rappel Wall, first 140 guests; Giant Swing, first 360 guests; Wall Climbing, first 140 guests; and Roller Coaster Zipline, first 290 guests. The entrance fee is Php75 per person. – Use sunblock, arm warmers, and clothing that can shield you from the sun to avoid sunburns. – Expect the place to be packed during weekends and holidays. It’s best to visit on a weekday, Tuesday to Friday. – Come early because there’s a limit to the number of persons they can allow for each activity per day, and also, for you to be able to try out all the activities. – If you’re going in a group of 10 or more, it’s best that you make reservations 10 days before the visit. – Check the weather forecast. When it’s rainy, the outdoor activities are temporarily suspended for the safety of guests. – Wear rubber shoes, or bring extra shoes if you want to wear slippers or sandals. Some activities require guests to wear shoes. 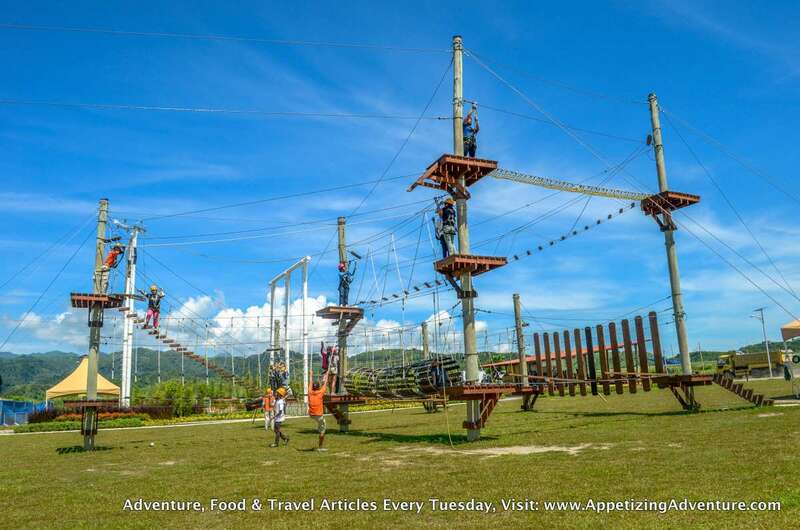 – Bring extra clothes and expect to sweat, especially if you want to do the Aerial Walk and Wall Climbing. – If you plan to bring food, there’s corkage fee of Php100 per person. This is waived if you come in a group of 50 or more. There’s a very affordable snack bar at Sandbox and you have to try the delicious mini-sausages. – Check the Sandbox Facebook Page regularly because they always have promos, contests, and freebies every month. From Cubao (QC), take a bus going north via Dau (Pampanga). Go down Dau Terminal and take a jeep going to Angeles, then take another jeep going to Porac. From Porac take a tricycle going to Sandbox. For detailed instructions to Sandbox, contact their staff through the details below. hi ginger, kindly get in touch with sandbox for your inquiry. i apologize if this article seemed like it’s sandbox’s. it’s not. it’s my food and travel blog. thank you so much for reading the article. Hi,how can we get there using public transport? Thank you! Helpful blog. Two thumbs up! they have a crowd limit — when they reach the maximum capacity for the venue, they no longer admit guests. last time i went there, it was a sunday, and by lunch time, they reached the maximum capacity and no longer allowed guests to enter. so if you plan to go on a weekend or a holiday, it’ll help if you call and request if they can allow reservations. I just want to know if there’s an age limit for all those activities. I have 10 and 12 years old who’s willing to do all those things. please reply so I may know if we will go there or not. thank you so much. I just want to inquire if all your services in sandbox available for tomorrow April 15? Because I don’t want to get disappointed going there and not being able to experience all activities.. Thank you. 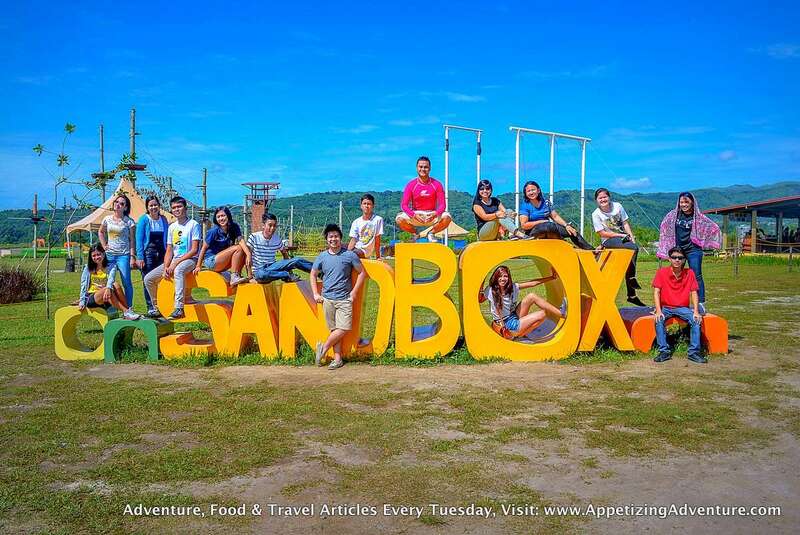 Me & my friends are planning to visit sandbox this coming holiday, May 1. Do you think the said place will be pack that day? uhmm, tanong ko lng sana kung pwede mag tsinelas sa wall climbing? hi are you open tomorrow may 10? Hi!is it okay to go there without a reservation? No need for reservations na po ba? The Payment will be made by the time we will be there depending on the packages that we avail? Do you have any packages or discount that is good for 4 persons ? We are planning to go there this Sunday. Thank you! Is it open this Sunday may 31 ? hi! Is there any reservation policy in sandbox? How can we get there if we’re here in baliwag, bulacan using our own service vehicle? thank you also for reading the article, i hope you come back and read articles here 🙂 God bless po! Hi ask ko lang if wala po ba sa Pasay papuntang Dau? Thankyou! pwede po walk in lang. pero may limit po sila, kapag na-reach ang limit ng guests, hindi na sila nagpapapasok. mainam po na umaga kayo bimisita. by the way, i don’t work for sandbox. blogger lang po ako. salamat and God bless! Tumatanggap po ba kayo credit card payment? Hi Jazson. Sorry hindi po ako nagtatrabaho sa Sandbox. Blogger lang po ako. Salamat and God bless! grabe nagbayad kami sa picture sabi ieemail daw ung copy hindi naman pala. they said they’ll be open on nov. 1…. you may want to contact them at Tel. Nos. : 0936-988-6023 / 0917-803-3099 / (045) 432-0014 … i am not connected to sandbox, i’m just a blogger. hehehe. thanks 🙂 God bless! Hi open ba kayo tomorrow? Magkano po yung pamasahe sa bus, jeep at tricycle????? baka kasi maningil ng mahal pag alam nilang hindi taga don eh. May malapit din bang mga hotel at restaurant dun? Thank you blogger.???????? Just wanna ask the budget for 9 people with overnight accommodation. Are you open on November 19, 2015? Kpag po ba nag take ng package then gusto pa nmin mag try ng iba pa adventures na wala sa package pwede naman? Pwede pong umuli-ulit sa rides? 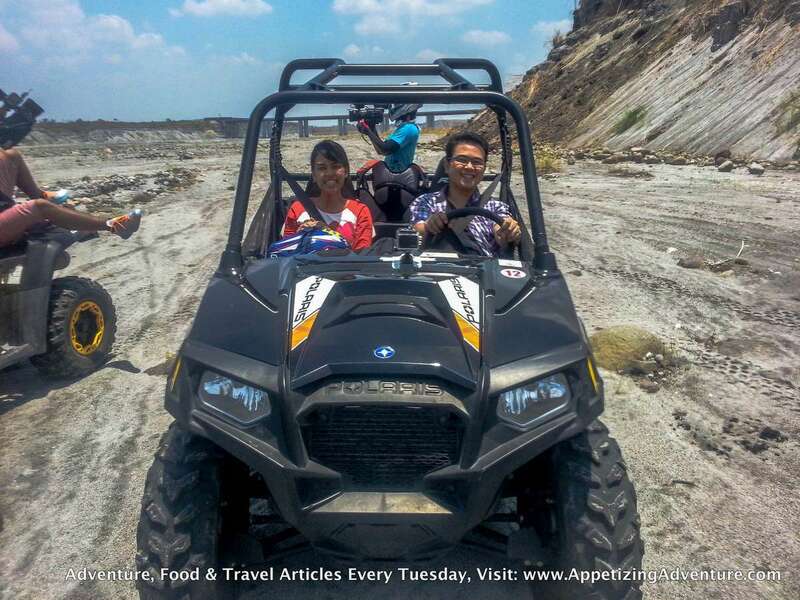 Can my kids ages 8, 7 and 4 can enjoy the adventure in Sand box or there is age limit? Thanks! Good day! Ask ko lang po kung ano number nyo for reservations. Thanks! Hindi kasi namin macontact yung nandyan sa wall. Thanks. Ask ko lng po regarding sa packages, is it updated po up to this year? Hi… Thank you sa mga info. open po ba pag weekend? Hi Do you Zorb balls there? How much? Hello may job vacancies po ba kayo? thank you so much po for reading about my experience at sandbox. Open po ba ng Monday September 12, 2016? Hi! Do they have age limit? For example for the kids? OPEN PO BA SA NOV 2 OR 3? I’ll be going there soon. Are they open on November 1, 2016? how to go there form bataan? Oh no! That’s not a wonderful experience. I’m so sorry to hear that. Naka bisita na ako many times sa Sandbo. Ang comment ko lang ay sobrang dami ng tao pag weekend anghaba ng pila. One time, naka-dalawang activities lang ako dahil sa dami ng tao we decided to leave and eat sa labas. Kaya pag bibisita ako ng Sandbox, pipilitin ko na weekday na lang. 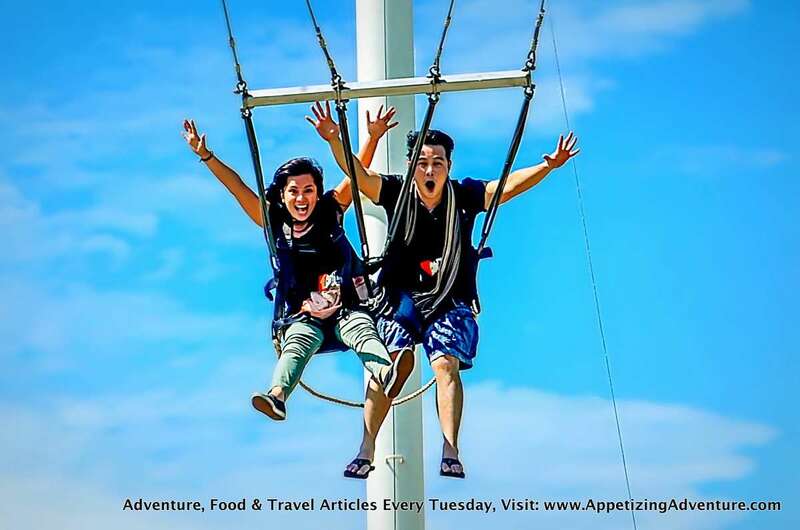 Unlimited use po ba yung attraction pagnaka package or 1 per activity lang?